August 03 – National Watermelon Day: Enjoy Summer with This Juicy Fruit! Did you know that there’s an unofficial holiday to celebrate the existence of watermelons? Every third of August, people gather around to eat a slice or two of this tropical fruit—whether it’s at a picnic, fair or at home with their family. Made of 92 percent water and pure juicy goodness, the watermelon is always a hit during the summer season. Watermelon cultivation started way back in the 2nd millennium BC, and we have the ancient Egyptians to credit for that. Seeing that the fruit was capable of holding an abundant amount of water in a desert environment, they decided to grow and cultivate watermelons. Legend even has it that you can find watermelon seeds in King Tut’s tomb! While almost everyone knows that this tasty and thirst-quenching fruit is a summer staple, only a few may be aware of its health benefits. Just like many other fruits, watermelon can be a huge source of vitamins A, C, and B6. If you’re prone to flu or cold, a daily dose of watermelon might just be what you need! Here are a few other tidbits about the watermelon that will surely get you intrigued. Watermelon is both a fruit AND a vegetable. We all know that watermelon is a fruit. However, what we didn’t learn when we were kids was that watermelon is also a type of veggie. Since a watermelon grows from seeds and can be harvested, it is also classified as a vegetable. It’s even related to cucumber, pumpkin, and squash! How cool is that? The heaviest watermelon discovered by the Guinness Book of World Record weighed 350.5 pounds. A normal watermelon alone can feed up to 36 people! Can you imagine how many more people a gigantic watermelon can feed? Did you know that there are over 1,200 varieties of watermelon around the world? Cultivators and farmers from various countries have bred and developed more than a hundred watermelon cultivars. They can be as honeyed and sugary as the Crimson Sweet, or one that only weighs 3 pounds and turns yellow when ripe, the Golden Midget. Watermelon is the most-consumed melon in the country. Next to it would be cantaloupe and honeydew. Watermelon is available throughout the whole year. Since watermelon grows in warm places such as Florida, there’s not a chance that we’ll run out of it in the market! The U.S. ranks as the sixth leading producer of watermelons in the world. Majority of our watermelons come from Florida, Texas, California, Georgia, or Indiana. Probably the most common way to observe this special day is by getting yourself a slice of the delectable watery fruit. Making a dish out of it is also another option. Whether we’re talking appetizers, beverages, salads, or even salsas, watermelons are just great additions to our menu. 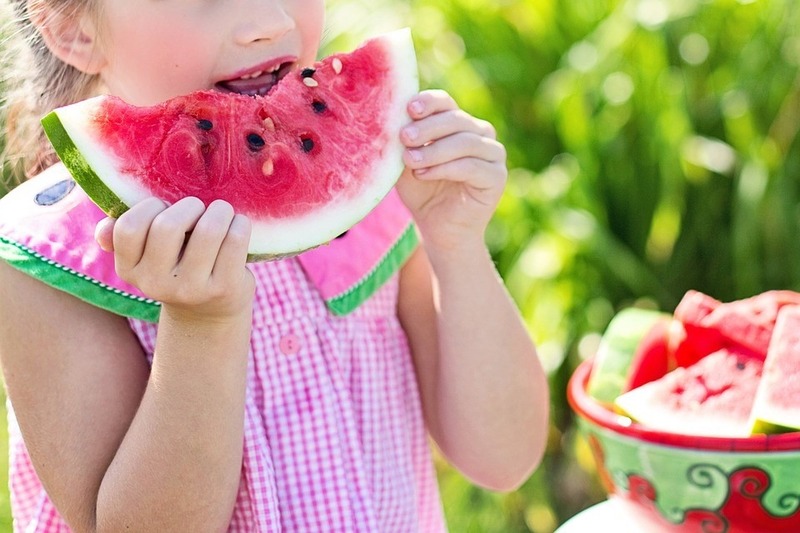 Find out how you can prepare a simple snack or a family meal filled with watermelons here. Just like with pumpkins, you can also show your creative side by carving a watermelon sculpture. It’s time to let everyone see how artsy you really are by forming an interesting figure out of the fruit. Once you’re done with your masterpiece, make sure to display it on your porch! Watermelons make everyone happy, especially when it’s a hot summer day. You know what else makes unemployed and impoverished Americans happy? A simple car donation to Goodwill! If you have an old car or any other vehicle that you no longer use, feel free to hand it over to us at Goodwill Car Donations. We’ll use it to fund critical programs that deliver such services as job training and placement, mentoring, career development, youth employment, disability benefits support, and other community-building projects. These programs and services equip the disabled and other disadvantaged men and women in your community with the right skills and education that will enable them to secure decent jobs and a steady source of income. Thanks to you, they can finally make a living, support their families, and break free from poverty. Donating to us is really quick and simple. You contact us, we tow your car away at no cost, and you get a huge tax deduction in return. The best part is that your vehicle donation would help these underprivileged individuals start a new life. For more information about Goodwill’s car donation program, visit our FAQs page or contact us and send us a message online. If you’re ready to make a donation, give us a call at our toll-free 24/7 hotline 866-233-8586 or fill out our online donation page.